How to pay for Mississippi's crumbling roads and bridges took center stage at the Capitol during MEC Day. Republican Speaker of the House Philip Gunn of Clinton, says he's committed to finding a solution to improving the state's roads and bridges. He's reviewing the state department of transportation's budget and meeting with agencies. But Gunn says raising taxes or fees is a challenge. He says Mississippi voters want lawmakers to be fiscally conservative. A super majority of the House of Representatives 122 members would have to pass an increase. "Now the only solutions that I've been presented with even by this organization involve taxes and fees. I don't know how many of you know this, but you need to understand that in the House of Representatives to pass any bill that involves a tax or a fee requires 74 votes. It's not a simple majority. It's what we call a super majority," said Gunn. Democratic Senator Willie Simmons, of Greenville, Chairs the Highway and Transportation Committee. He says of the state's 16,000 bridges, 22 percent are deficient and kicking the can down the road is a safety concern. He tells council members to personally reach out to all elected officials. "You must communicate to each of us in this Capitol. You must communicate to your board of supervisors because they need some skin in the game also. You must communicate to the Municipal League," said Simmons. 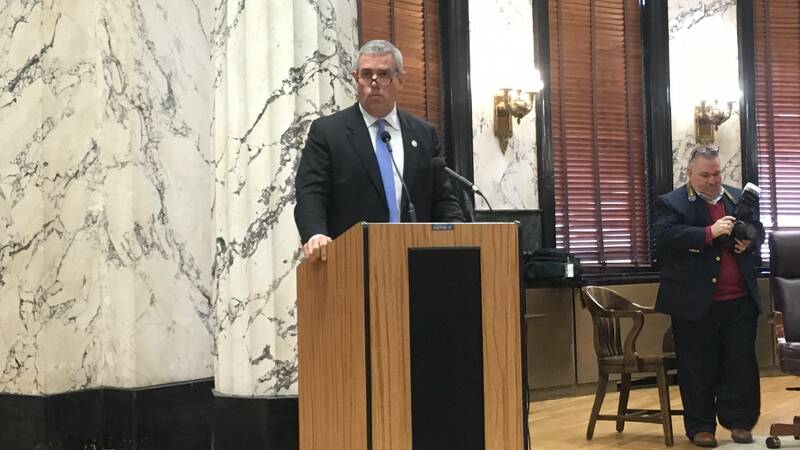 Scott Waller with the Mississippi Economic Council says they've studied the issue and outlined options for legislators that include a tax or fee increase. "We're going to keep working and see if we can't continue to find all available options," said Waller. Voters can expect to hear more about infrastructure needs and options throughout the legislative session.